The genre of classical music has been proven to enhance academic scores, performances and cultural experiences. Although it’s not always the most popular genre, its influence has made its mark on generations of artists, including Elvis Presley, Queen and Muse. 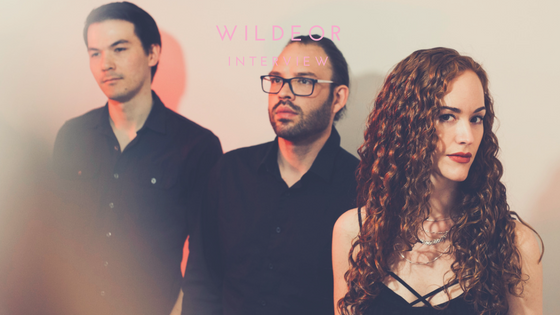 For Los Angeles-based folk band Wildeor, their classical backgrounds led them to pursue music as their careers. Vocalist Megan Brickwood, percussionist Caleb Conner and cellist Mark Bassett were exposed to classical music at an early age - Brickwood was trained in both classical music and opera, Bassett’s first instrument was the cello and Conner’s was drums. They all moved to Los Angeles from different places around the country to pursue music but didn’t meet one another for quite a few years. When Bassett ran into an acquaintance and Brickwood outside of the UCLA music building, he offered his background as a cellist to her when she mentioned wanting to start a band. After she began working with him and a few other musicians, she decided she needed a percussionist to add to the mix. After rehearsing with a few people that didn’t quite click, Brickwood sent an email to the UCLA music department to see if she could get a lead that way. Conner was one of the people who responded. The three of them bonded over their shared inspirations: a mix of classical, folk and rock influences with an infusion of Medieval storytelling. When the band was formed in 2016, their name came from the Old English word “wilddeor” meaning “wild beast”. “I think of it as the wild spirit of creativity, that restless thing that stirs in a person’s soul and drives her or him to create something,” Brickwood said. Their five-track EP took about five months from start to finish with each song coming about in its own unique way. A sense of adventure, emotional catharsis, reflection on the past and possibilities for the future are all touched upon throughout each track, giving the listener a chance to feel emotion in more ways than one. “We begin with the bare bones of the song and examine its lyrical themes, musical evolution and so on to decide how we should layer it and what kind of sound to create,” Brickwood said. This EP was not only a way for the trio to share their love for music in the best way they know how, but a learning experience that they will bring with them into their next endeavor. The creating process, while the most important, can often be the most difficult or most time consuming. However, it’s worth taking that extra bit of time to get the right results. That next step for them is undetermined at this time, however it is a step they plan on taking together. Their sound, their influence and their commitment to their art is what got Wildeor to where they are now and it will continue to take them wherever the roads leads them to next.